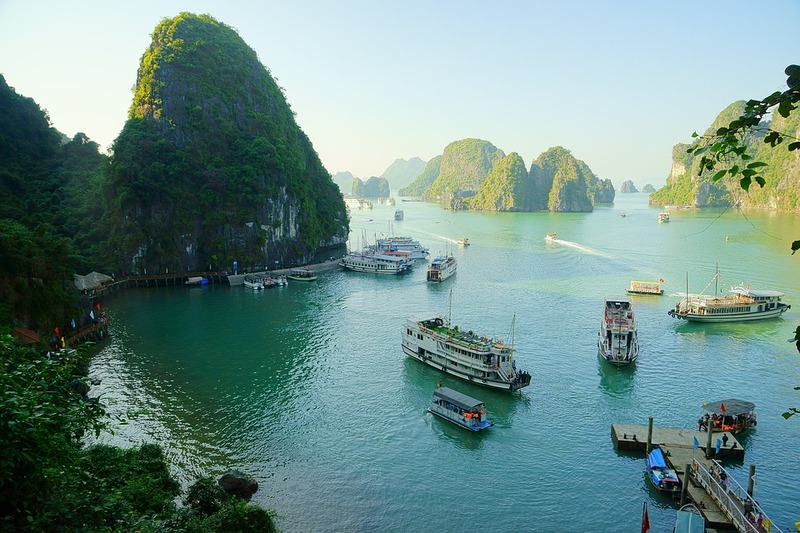 Vietnam Travel Blog from South to North everything you need! 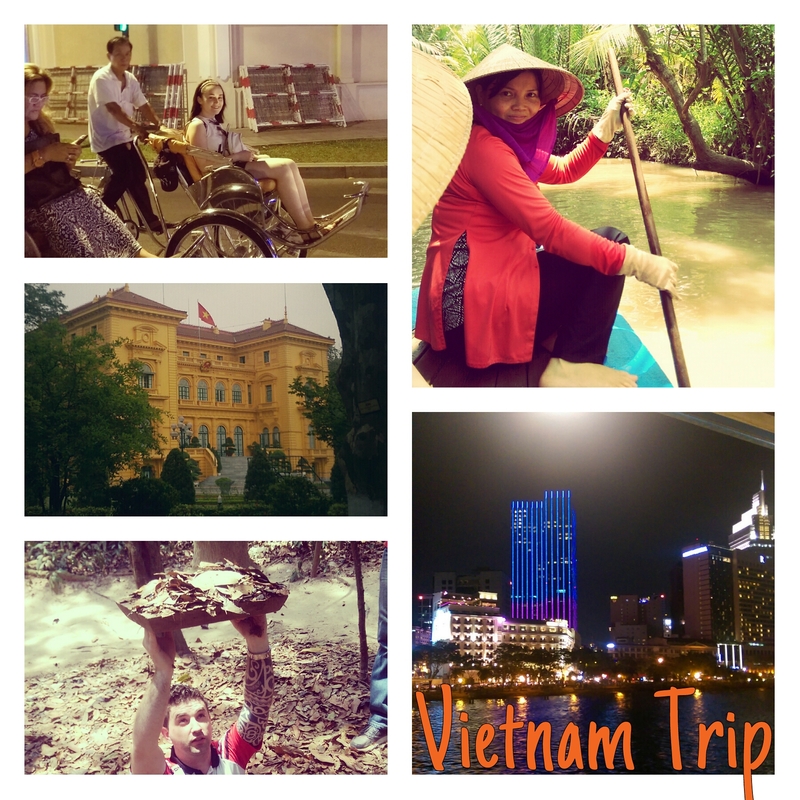 We travelled from North to South which we personally think was the best way to appreciate both Hanoi and Saigon. 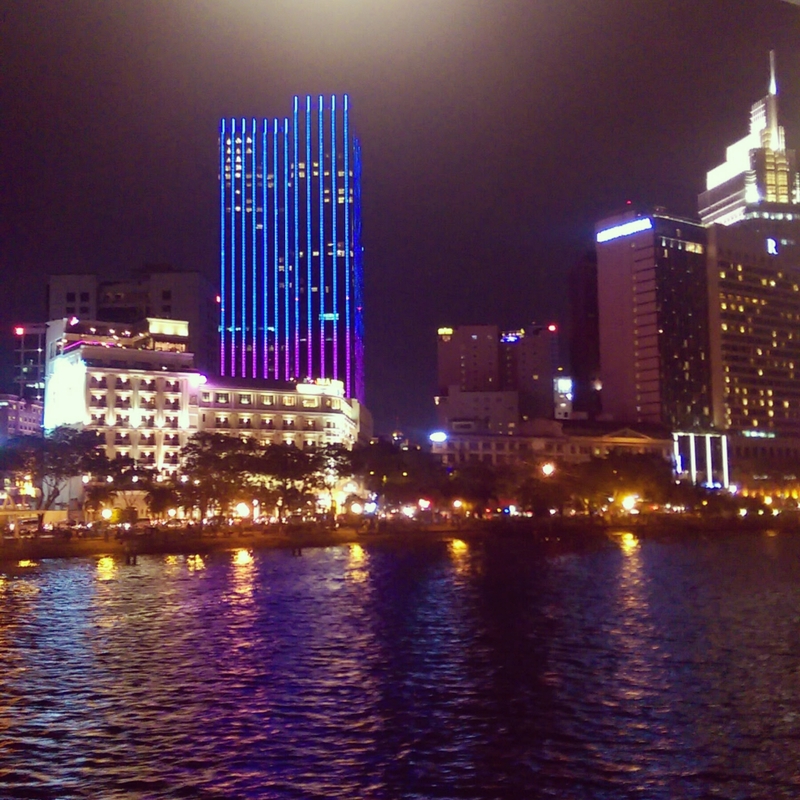 Hanoi is a relic and is recently adapting to a new way of thinking while Saigon is a thriving mammoth of a city. 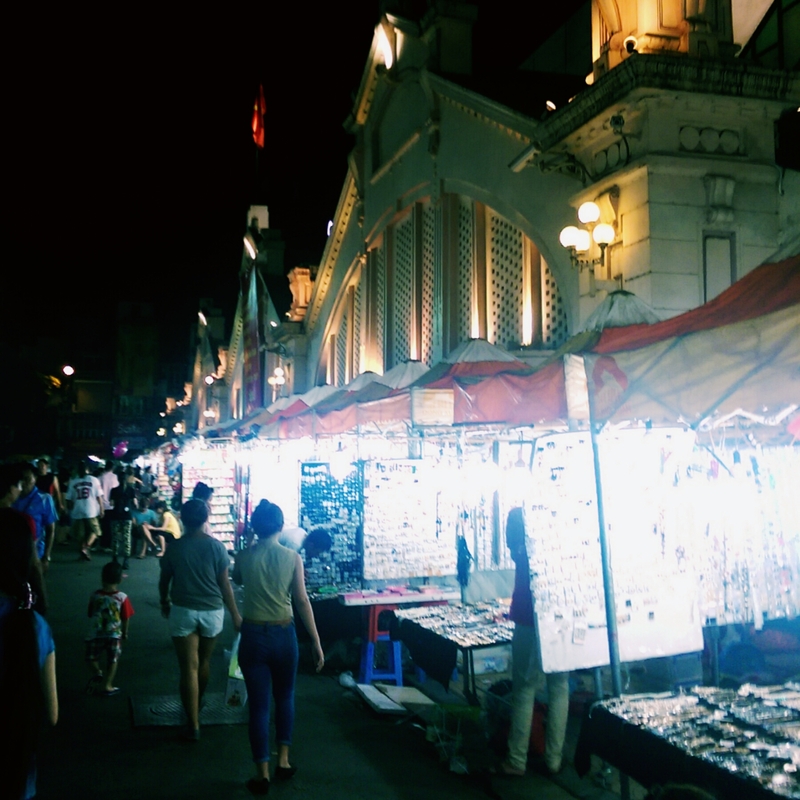 If we went to Saigon first I doubt we would have appreciated Hanoi’s quirky smells and culture as much as we did. Visa: Travellers are advised to arrange Vietnam Visa before their departure by applying online for the Approval Letter first. You will receive the letter by email, print it and bring it with you to Vietnam. You will also need to bring two passport photos with you. To get the Visa Stamped on your passport you will need to pay a fee ($25 for single entry; $50 for multiple entry visas) at Vietnam Airports upon arrival. Food: Favourite Vietnamese dish was the spring rolls. Most dishes came with rice and were not spicy. Started to love pineapple after the trip. Weather: Very humid and hot around 32°C when we were there in May. Money: 12 days excluding shopping we spent $1600 on tours, transport, accommodation & eating out. Transport: The scooter should be their national symbol as they are used so much. I definitely would not have trusted myself to drive one on the streets of Hanoi as it seemed there are no rules of the road. At traffic lights, there is a speaker explaining the rules of the road to drivers, however, this does not seem to have a huge impact. Taxis are the way to go, haggle with the taxi drivers and get a fixed price before departure. Shopping: Lots of markets where you can haggle. A lot of cheap knockoffs such as t-shirts, shorts and runners. Staying in HM Boutique in the historic 1000-year-old city Hanoi. We arrived on a Friday evening to our hotel, HM Boutique on Shoe Street just off Hoan Kiem lake in the Old Quarter. The first thing we encountered was trying to cross the road in Hanoi is an adventure in itself, with a wave of mopeds coming at in every direction you just need to take it step by step. As it was Friday the night market was open (Only open Friday to Sunday) . It is one long street with stalls down the centre and at the sides. You have everything and anything for sale there with loads of opportunities to haggle. We weren’t too sure about the street food so we gave that a miss and kept our hands in our pockets just to be safe. The next day we went on a tour to see our first Pagoda (temple), Ho Chi Minh’s Mausoleum and the Ethnology Museum. 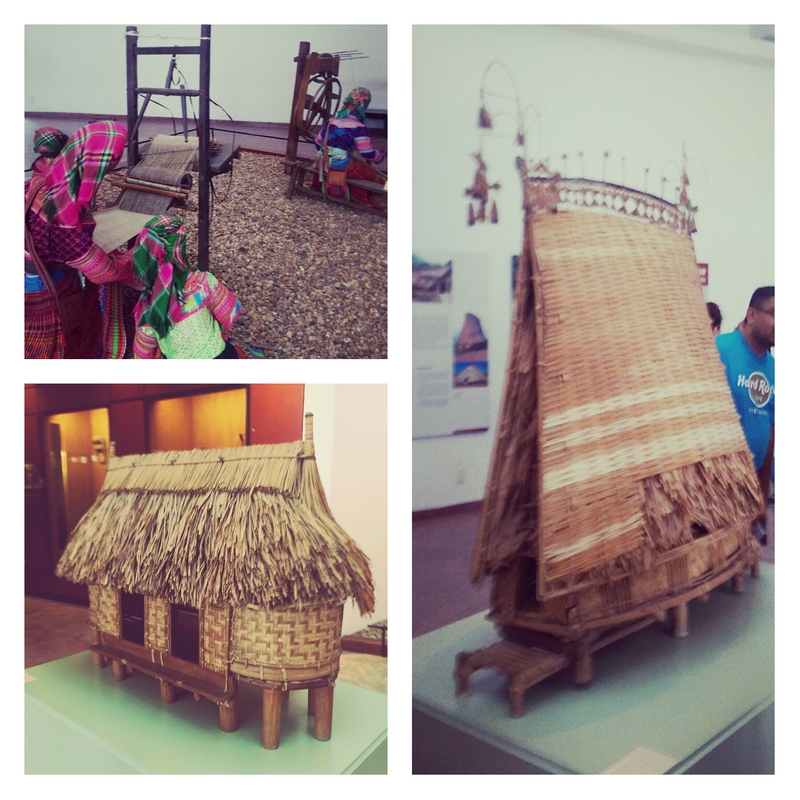 The ethnology museum focuses on the 54 officially recognised ethnic groups in Vietnam showing how they live their lives. The real eye opener of the day though was visiting Ho Chi Minh’s Mausoleum. Firstly Martina had to buy a scarf to cover her shoulders before we went through the security check and then followed a path around the complex taking us into this huge building. We didn’t know anything about Ho Chi Minh and definitely did not expect to walk in and see a guarded “corpse”. The tour guide said it is actually Ho Chi Minh as they got some special chemicals from the Russians to persevere the body. I think a wax statue made more sense but I didn’t bother debating. Out tour guide had a lot of admiration for Ho Chi Minh but he wasn’t the only one, you had the army protecting the “body”, tonnes of local Vietnamese people there and hoards of school children on school tours. Every citizen tries to visit the body at least once in their lifetime and they renamed Saigon to Ho Chi Minh city. In the same complex, we got to see The Yellow House where the president lives, Ho Chi Minh living quarters and the One-Pillar Pagoda that is modelled after a lotus flower. 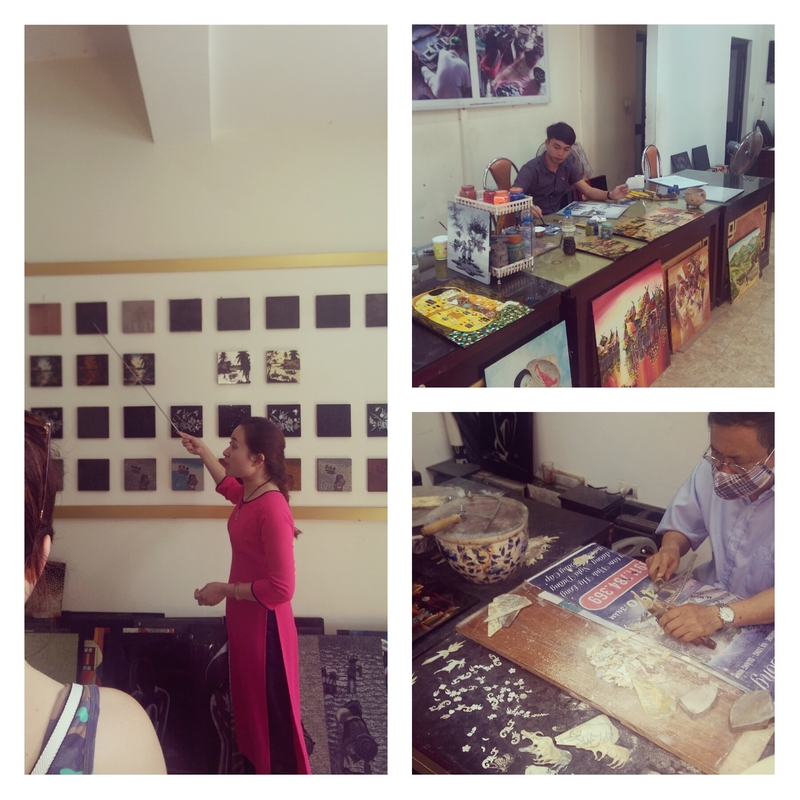 Our next stop was to a factory that was representing a rural village who created Lacquer art ,which is a famous ancient trade of Vietnam. Lacquer paintings with pearls and sea shells inlay are Vietnamese specialities. A guide illustrated to us how they were created while we also got to see the craftsmen at work first hand. That night we ate in Highway 4 recommended by TripAdvisor. we hadn’t truly understood the value of TripAdvisor then unlike now which we treat like a bible. We highly recommend the fried rice, with regards liquors such as Son-Tinh (a Vietnamese rice liquor) we would recommend asking for a taster before you order 2 cocktails of it as it has a required taste. Next day we went shopping. First mission, was to go find a suit that after some initial online research we had a shortlist of 5 places.We ended up choosing Bamboo Silk where I got a cashmere suit, blazer, 2 pants, 4 shirts and Martian got a blazer all custom made for around $450. The lady was extremely helpful and not forceful at all making it a very pleasant experience. We paid half with the arrangement of paying the rest when we came to collect 3 days later. We were over the moon with the results, the 3 piece suit fit like a glove, ironically we only had to get Martina’s blazer slightly adjusted none of mine. 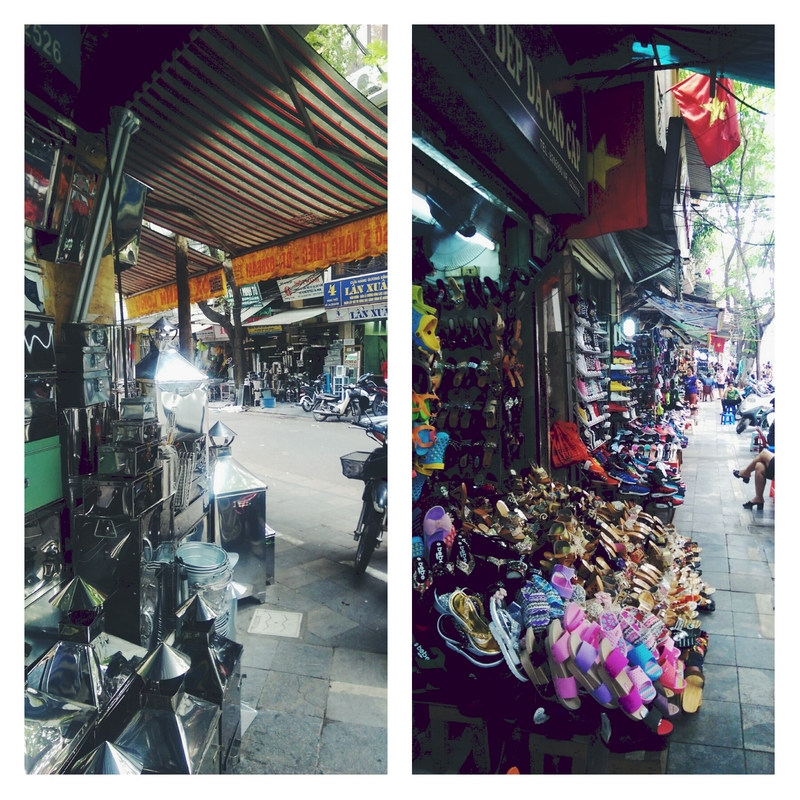 We did other shopping on silk street, silver street, shoe street which all had loads of options. 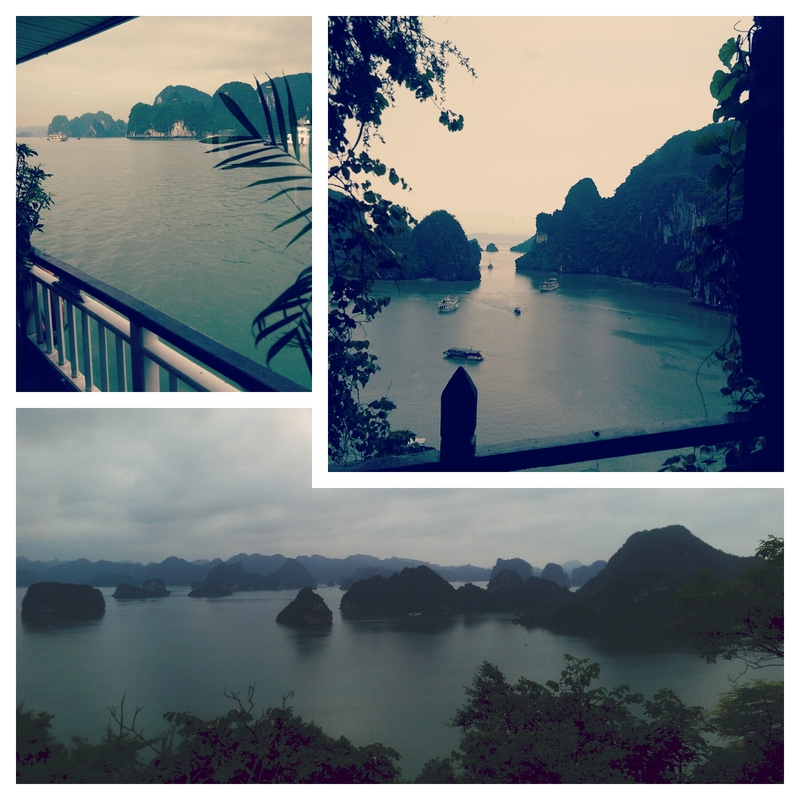 The following 2 days we spent on an overnight boat tour of Halong Bay which we booked with Halong Tours Bookings. Pictures just don’t do it justice it really is breathtaking. That plus having an amazingly entertaining local tour guide called Hugh made it one of the highlights of the entire trip. Hugh gave us a history lesson on the bus, magic tricks after dinner, Thai Chi at 6am in the morning on the deck and most importantly was an all round nice guy. 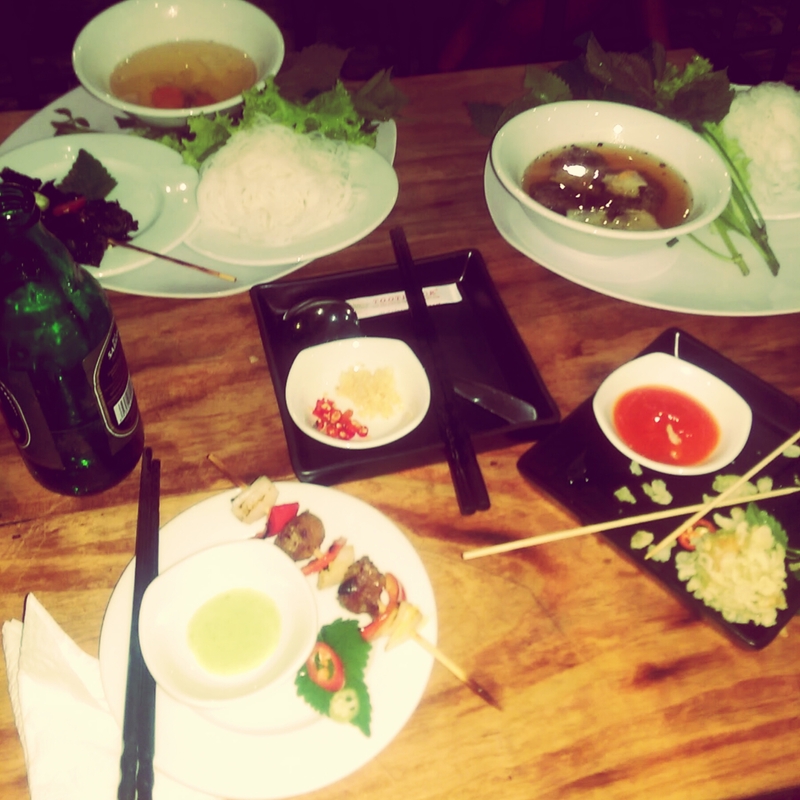 The food was absolutely amazing we got to taste a range of Vietnamese food for lunch and dinner. The tour also included kayaking in the crystal water around the islands, squid fishing at night, a trip to a beach, explore a huge cave and cooking demonstration on how to make fried spring rolls. 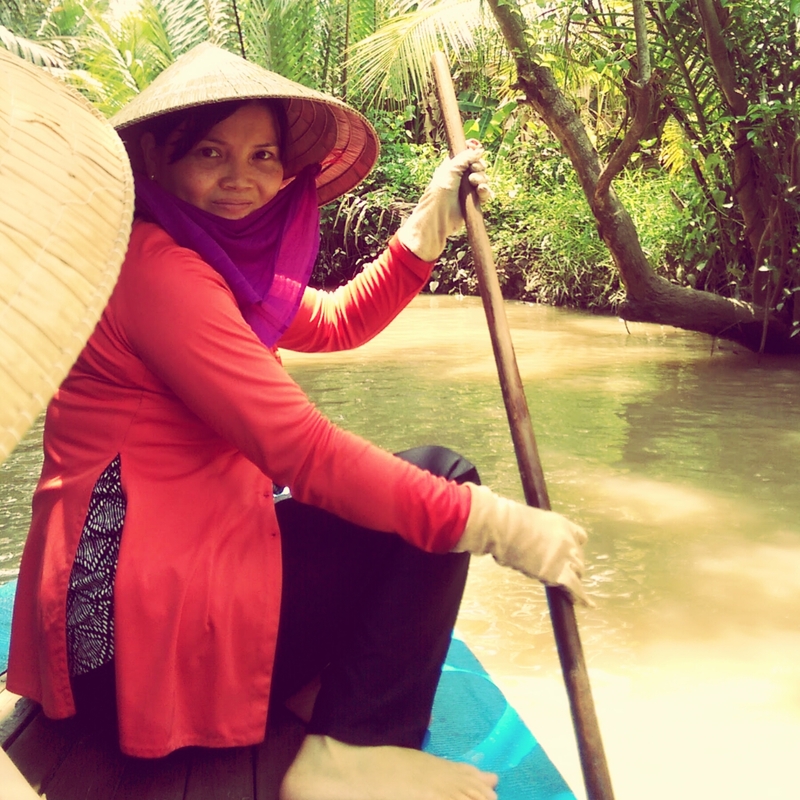 Exploring the Mekong Delta and eating coconut candy. The emotional visit to the War Remnants Museum a collection of war photographs. Chu Chi Tunnel tour and shooting range was a really interesting unique trip. The general buzz of Saigon it was just great to walk around and soak it in. Relaxing on top of the FX Tower watching the sunset over the city. We stayed in the Ruby River hotel which is very central and everything was walking distance. the first day we walked to the Remnants War Museum which is an absolute must for anyone visiting the city. What the people went through is horrific and was deeply disturbing can’t imagine what Americans think when they go there. I took a lot of pictures of facts and other points of interest that can be seen in the below album. It was a really sad experience reading everything about how brutal the war was for civilians we both left in silence. 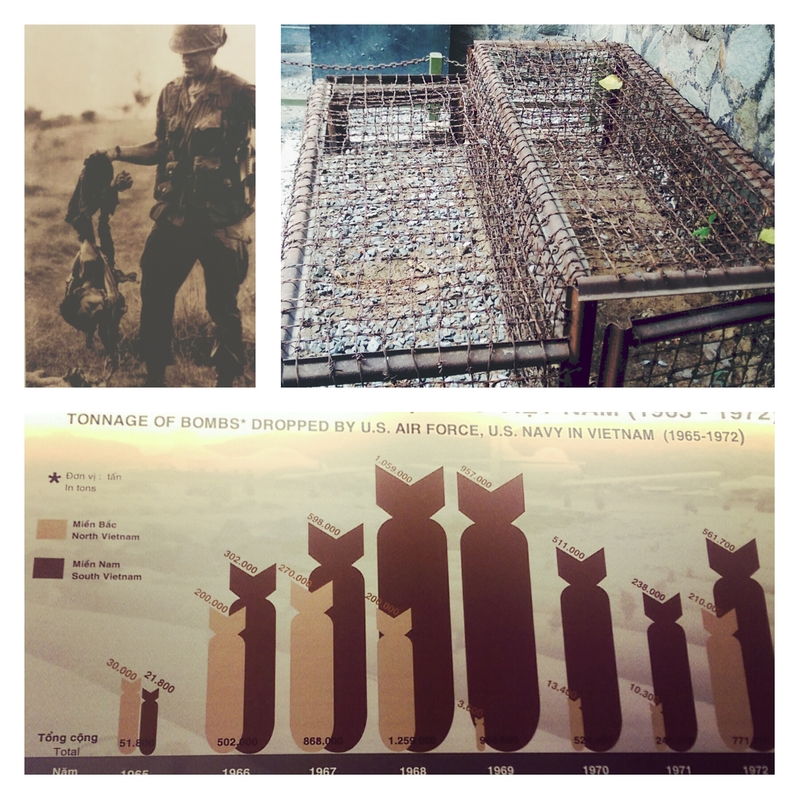 Picture of US Soldier holding child’s corpse, a tiger cage where prisoners were held and a graphic showing how much bombs were dropped during the war. 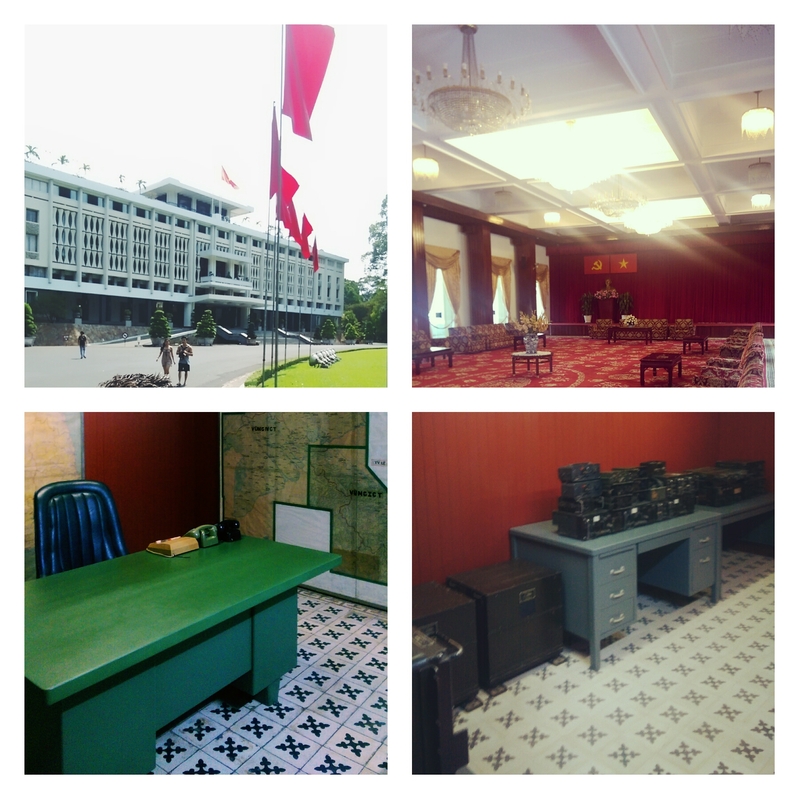 Then we took a tour to take us to Interdependence museum (Reunification Palace), Cathedral and Post Office. Paying for a tour was a mistake it was literally a bus dropping us off no tour guide with information and the cathedral and post office are across the road from each other. Before they took us to the museum we went on a detour to see a factory for disabled people still affected by the war where they demonstrated lacquer art and then made us exit through the shop. We could have easily got our own transport to the museum and the cathedral/post office are not that useful unless you want to send a postcard. The Interdependence museum was definitely worth the trip. 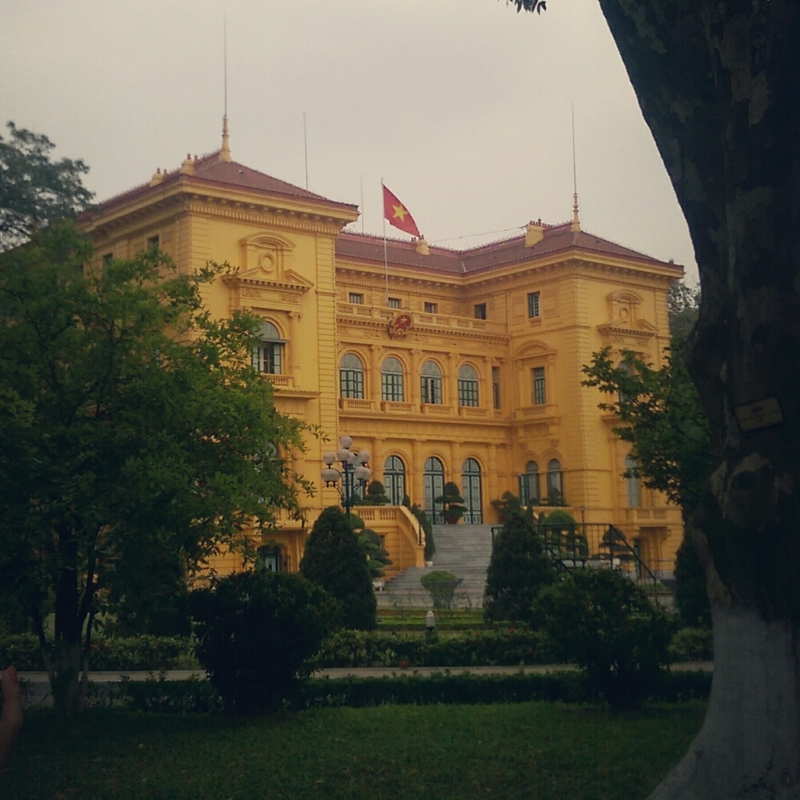 It was the headquarters and home of the President of South Vietnam during the Vietnam War. It was the site of the end of the war when a tank came crashing through its gate in the fall of Saigon. It has been preserved immaculately giving you as true feel how they lived upstairs and fought the war in the bunker underneath the palace. Next day we went to visit the Mekong Delta where we got a bus from Saigon along the national highway bordered by green rice fields. On the way our tour guide asked what do we call the city and he had a clear passion in the name Saigon as it was the original name of the city before they renamed it Ho Chi Minh after the war. There was a clear contrast to Hanoi where Hugh conveyed that the people would rather forget about the war and are trying to move forward. Was interesting to see the different opinions based on where they lived who have different opinions of their past. 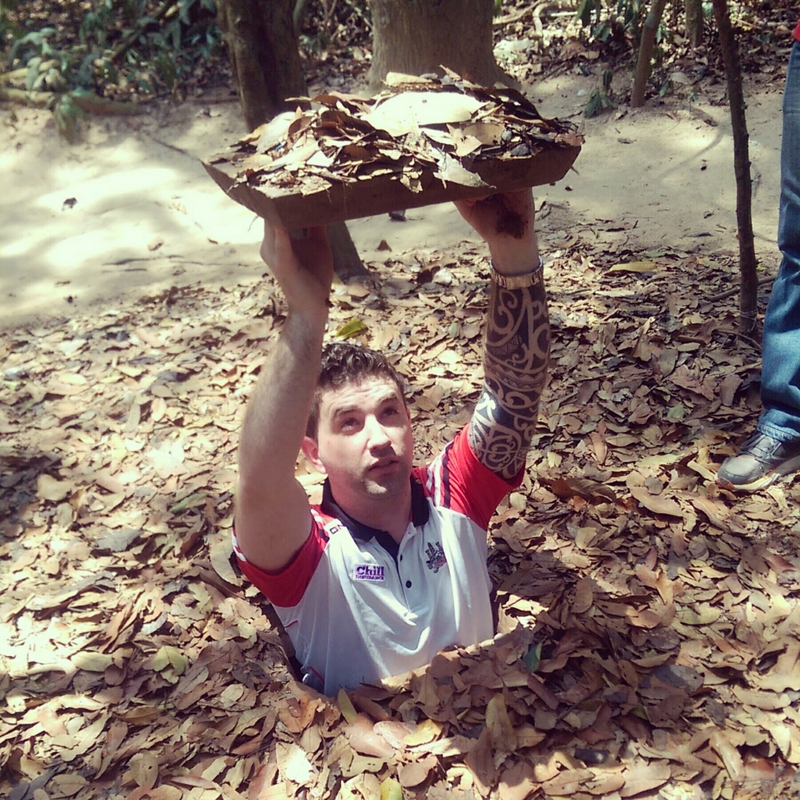 The next day we went to the Cu Chi Tunnels. Cu Chi is located 60km from the city so we got to see rural Vietnam, covered in rice paddy fields and water buffalo’s swimming in the rivers alongside the road. Cu Chi is considered a heroic district in its role in the anti-American war in Vietnam. It is legendary for the original tunnel system of over 220km. We were only shown the top layer of the 3 layer tunnel system as the guide said they are not shown to the public in case there is ever another war. 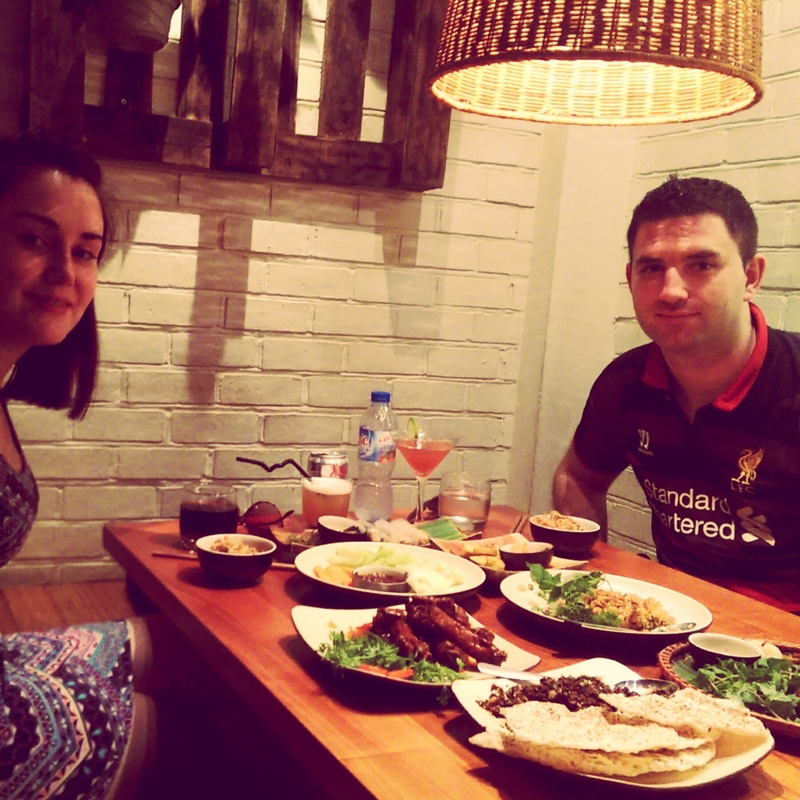 We found it genuinely hard to find good restaurants in Saigon by just walking around the city centre. We hadn’t realised the importance of TripAdvisor at the time. On our last night, we did take TripAdvisor’s recommendations and found an absolute gem in the middle of the backpacker madness called Bun Chả 145 Bui Viện. Moral of the story TripAdvisor is you’re going to source for information on restaurants while flashpacking Vietnam. On our last night we went on a tour which started a water puppet show then we got taken through the city to the pier on cyclos and then had dinner on a river cruise. The water puppet show was pretty cool the way they did it but was in Vietnamese so didn’t have a clue what the story was but the young girl in front of us thought it was hilarious. We ended the night with a dinner cruise and taxi home. Our next stop was Phnom Penh in Cambodia. If we were to do Vietnam again? We would like to include the following…. Trekking in the mountains in North Vietnam, you can go on 3-4 day guided trekking tours. Central Vietnam, instead of flying would have liked to take a train an make a few stops in central Vietnam. There are some fabulous beaches in the South of Vietnam which we should of went to after Saigon. Check out my Facebook Vietnam Album for all my travel pictures and my Instagram to keep up to date with my latest adventures. Comment below if you have been to Vietnam and leat me know how your trip was.